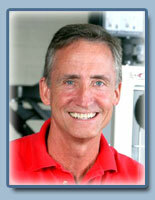 I'm Dale Fletcher and some of my clients call me "Coach Fletch." I reside in Indian Land, SC. I train clients in their homes and provide Wellness Coaching over the phone. My In-Home Personal Training service is geared toward the person who appreciates convenience and privacy. Executives and professionals find my service especially conducive for their busy lifestyles. I am dedicated to helping my clients reach their personal health goals. It's my pledge as a personal trainer to give you the training, education, encouragement and support you'll need to get and stay fit. I don't think you'll find another personal trainer in the Indain Land area of South Carolina who is more caring, competent and experienced in the wellness arena. Look better for that special event? Be inspired and motivated to exercise? Take better care of your body?